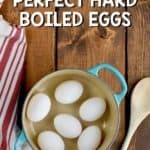 How to make hard boiled eggs that come out perfect every single time! 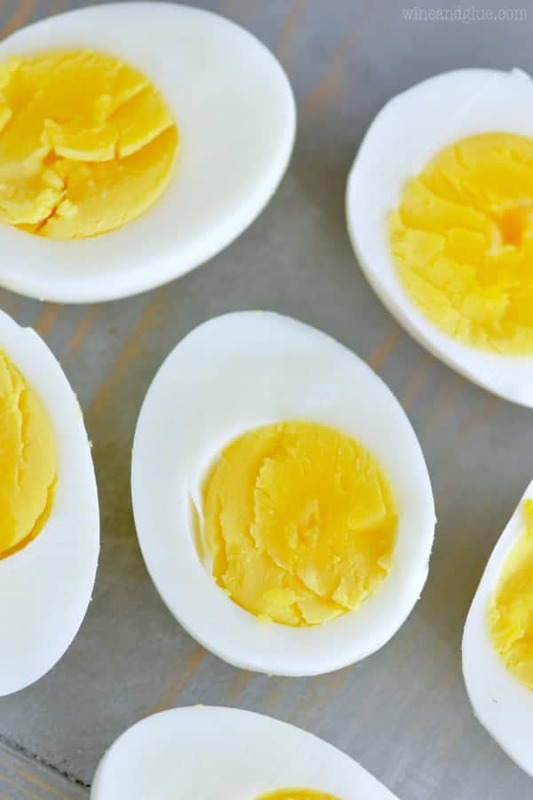 If you struggle with hard boiled eggs, you are going to find it so simple after this. 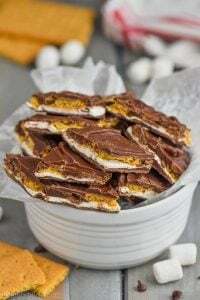 Whether you are hard boiling eggs for Easter, to make some deviled eggs, or just to top a cobb salad, this is post is for you! Can you guys believe that growing up I never had an egg salad sandwich? But after marrying my husband, I realized I really needed to step up my hard boiled egg game. Dude loves himself some egg salad sandwiches. They are good, but I’m more about this avocado egg salad. When I was first learning to cook, there was something incredibly intimidating about learning how to hard boil eggs. But guys! It’s so easy! 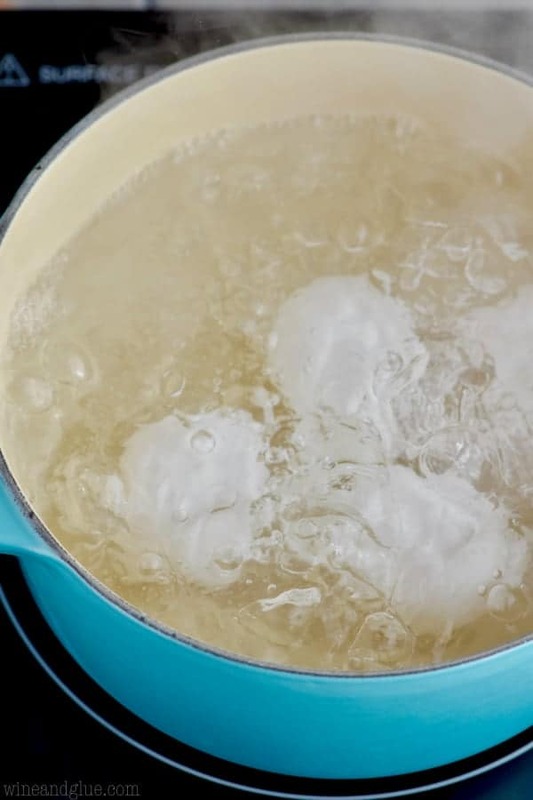 By cooking the eggs in hot water, not boiling water, and by moving the eggs to ice water after boiling them, it prevents the green ring that can sometimes form around the yolk. Immediately peel your eggs after cooling them. It will help for them to peel easier. If you peel immediately you should eat the egg that day. 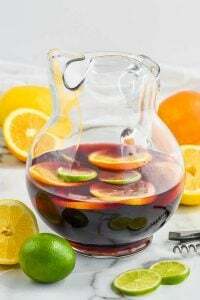 If you keep them in the peel they can stay refrigerated in a sealed container for up to one week. Place the eggs in a single layer in a pan. Cover eggs with water, so there is at least an inch over the eggs. Turn off the heat (see, this is us not boiling the eggs like mentioned above) and cover. 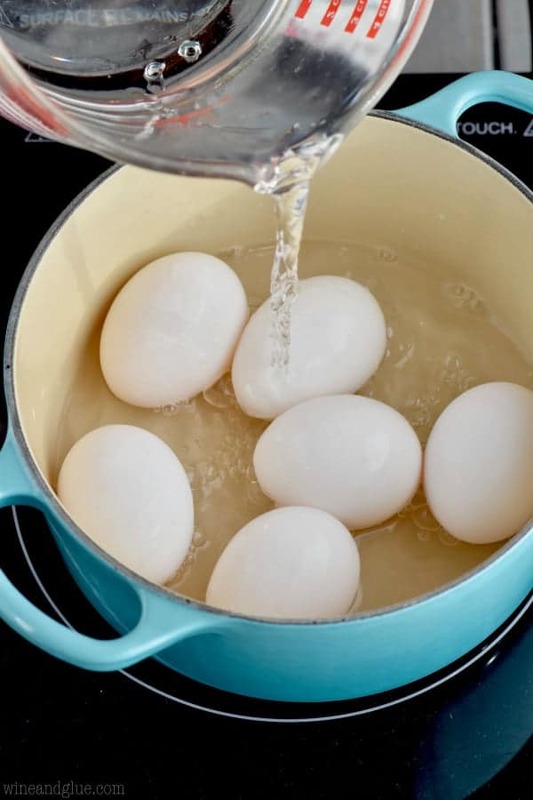 Let the eggs stand in the hot water for 10 minutes. Then immediately transfer them to an ice bath you prepared while waiting on your eggs. Remove the eggs and peel them right away. 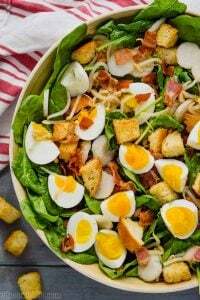 Make some deviled eggs or toss them on a salad! Now that you made hard boiled eggs, you can make hard boiled egg chocolate chip cookies! I’m so curious about them! And then there’s this! This grandma’s Italian lasagna uses hard boiled eggs! I totally want to try it! Or you know, you can just do the customary deviled eggs . . . that is if there are any left after your husband snarfs them for his egg salad sandwich. 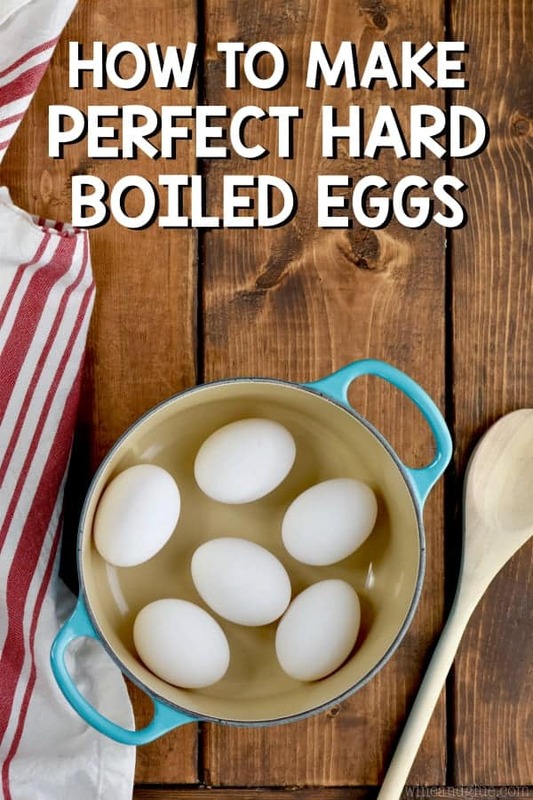 How to make hard boiled eggs that come out perfect every single time! Add the eggs in a single layer to a pan. 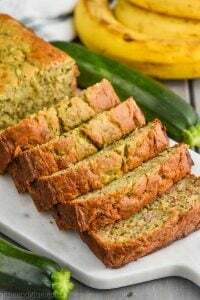 Add water to the pan so that they are covered by an inch of water. Bring to a roaring boil. Turn off the heat and cover. Let sit for 10 minutes. 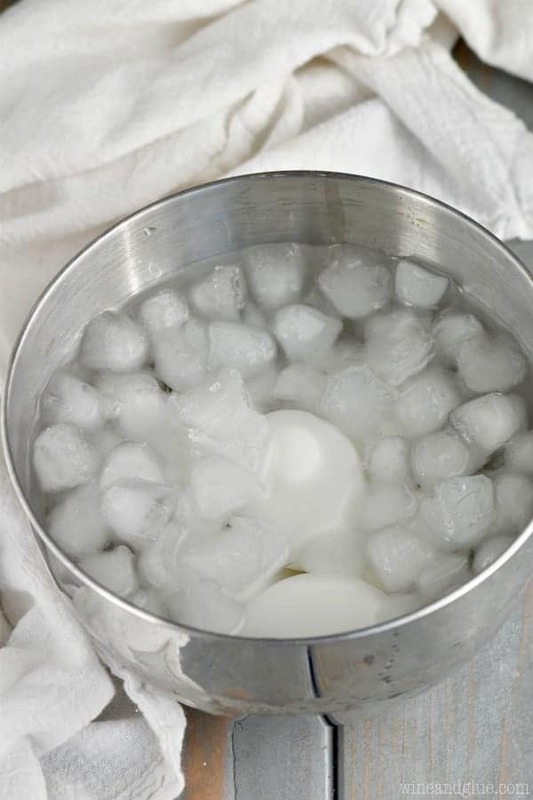 While waiting for the eggs, fill a bowl with ice and then top with cold water. After the 10 minutes, immediately transfer the eggs to the ice bath. Let sit for 5 minutes. Crack eggs on all sides and peel. 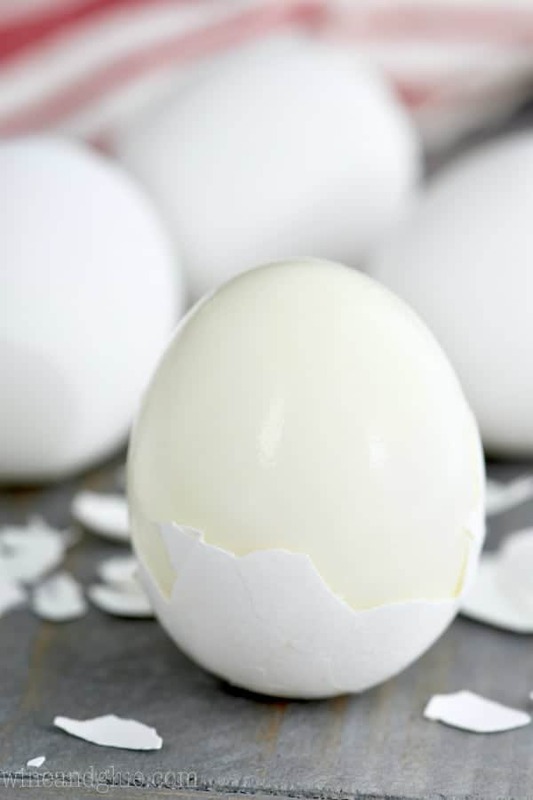 Eat the peeled eggs right away or store unpeeled eggs in the sealed container in the refrigerator for up to a week. Bookmarking this because I can never remember how exactly to do this when I need to! Lol! Thanks for linking to my lasagna!